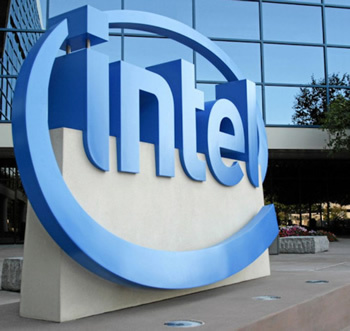 Intel is preparing a new flagship processor for Q4 2012, according to report by DonanimHaber. The upcoming Core i7-3970X is based on the 32nm Sandy Bridge-E architecture and will pick up where the current i7-3960X left off, offering the same six cores with a dozen threads but with slightly higher clock speeds at 3.5GHz stock and 4.0GHz turbo. Being an Extreme Edition processor it will also ship with an unlocked base-clock multiplier for easy overclocking. The rest of its feature set is consistent with the 3960X, including the LGA2011 package, 15MB shared L3 cache, and quad-channel DDR3 controller supporting up to 64 GB of DDR3-1600 MHz memory. The new chip will likely replace the current 3960X flagship at the $1,000 price point. Intel launched LGA 2011 as a replacement for LGA 1366 for the performance segment in November 2011. There are currently three Sandy Bridge-E processors available for the platform: an entry-level quad-core Core i7-3820, a mainstream Core i7-3930K with six cores and the top-of-the-line Core i7 Extreme 3960X. Although Intel’s Ivy Bridge architecture was launched earlier this year, enthusiast-level Ivy Bridge-E parts are not expected to arrive until sometime in the first half of 2013. At that point they’ll likely overlap with new Haswell desktop parts, just like 22nm Ivy Bridge and Sandy Bridge-E platforms coexist right now.